What Happens When Travel Isn’t An Option? Hi! Welcome to my family travel blog. I'm Char; lover of stylish getaways and mama to two mini-explorers. 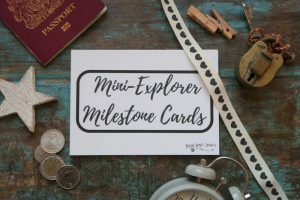 Create a photographic memory of their first travel milestones by using each card as a photo prop. Find out more and shop here!